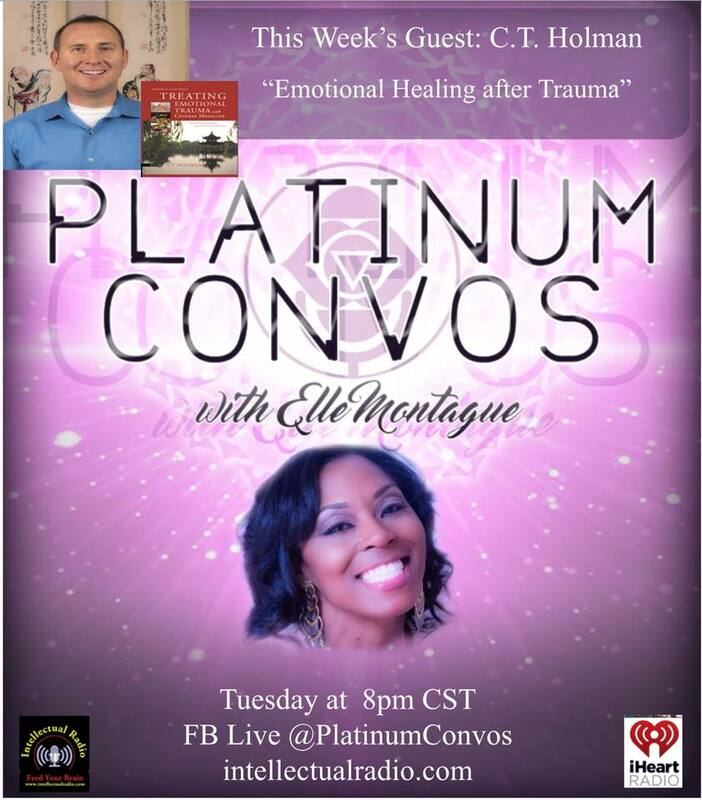 CT Holman briefly explains a treatment approach to address emotional trauma. CT Holman and Tammy Anderson, L.Ac. discuss the importance of first Gathering the Qi in the treatment of emotional trauma. Free video series on treating emotional trauma. CT Holman explains his overall approach to treating emotional trauma with Chinese medicine. 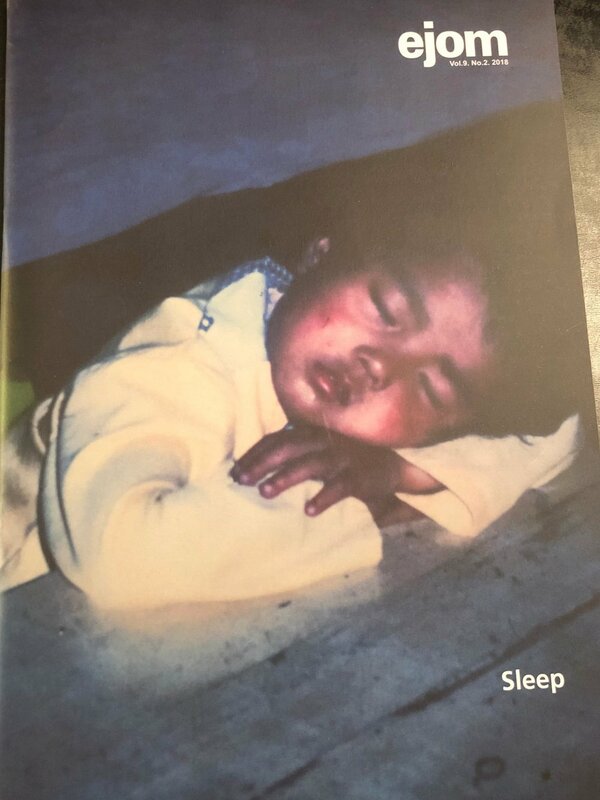 Part one describes the overall treatment approach. Part two explains the first stage of treatment. This excerpt was from his course in Melbourne Australia for China Books. CT Holman describes the alternate location to the acupuncture point Yin Tang MHN-3 and also explains the use of Nei Guan PC-6 and its specific location. This excerpt was from his course in Melbourne Australia for China Books. Michael Max interviews CT about the details of diagnosis and treatment of emotional truama with Chinese medicine. CT describes the diagnostic pattern of Heart and Gallbladder Qi Deficiency causing insomnia. CT discusses generational/inherited trauma and how to diagnose and treat it with Chinese medicine. CT discusses the many diagnostic methods used in Chinese medicine. He describes how these diagnostic signs give practitioners insights into treating past traumas. Emotional trauma comprises part of the human experience. An unprocessed traumatic event remains in the tissue memory which affects the body’s physiology and ultimately weakens the organ/channel systems. 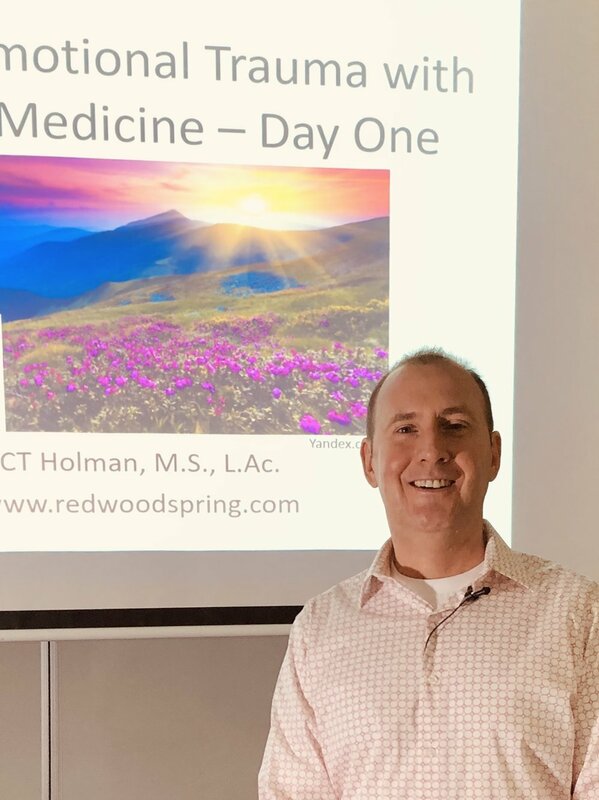 CT Holman describes the various diagnostic signs that indicate stored trauma and provides a successful acupuncture and herbal protocol to gather the qi after both acute and chronic trauma. Listen to CT play the Earth Drum Rhythm and explain the symbols related to the earth. This rhythm benefits the digestion and centers a person's energy. Embrace your authentic self and prosper in the grounded earth rhythm. CT is featured on two programs. On one show he compares and contrasts Western and Eastern medical treatments for emotional trauma. He describes how Chinese medicine takes in account seasonal changes in nutritional recommendations and acupuncture treatments. 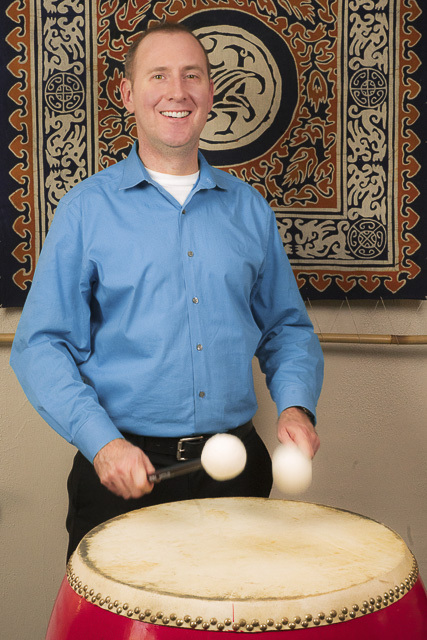 On a second show he discusses the healing power of shamanic drumming for multiple medical conditions. Rhythms for each organ system are played. CT describes the earth element in Chinese medicine. The organ systems, shamanic symbols, and personality associated with earth are included. CT discusses the foundations of Chinese medicine and provides self-care techniques to resolve emotional trauma.